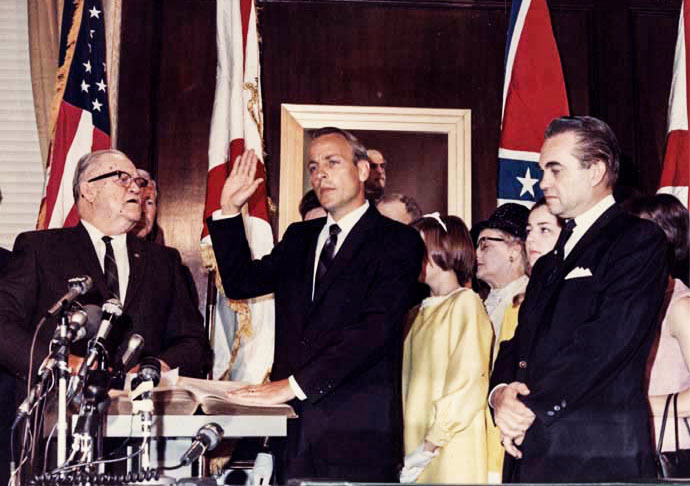 Albert Brewer was sworn in as governor of Alabama on May 7, 1968. Chief Justice J. Ed Livingston, left, administered the oath, as former Gov. George Wallace, right, observed the ceremony.